Mediaeval Tiles at Thurgarton Priory. 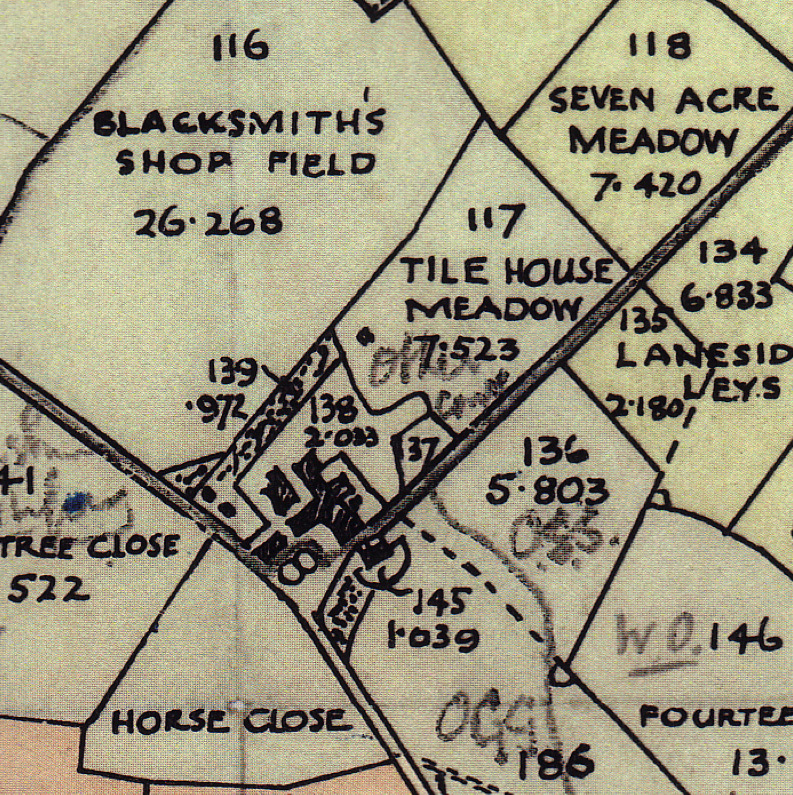 Many parishes with a ready source of clay have evidence of old brick or tile manufacturing – field names such as Brick Close or Tilekiln Meadow are obvious clues. Those who have walked the footpaths in the north of Thurgarton parish on a wet day can testify that there is no shortage of clay in these hills and if you walk up the track from the village past Hill Farm you pass Tile House Meadow which lies on the right beyond the farmhouse. 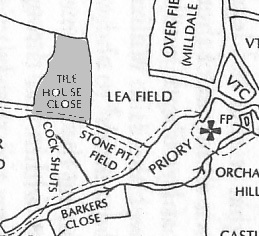 — and even further back to 1537, one year before the surrender of the Augustinian Priory, when Tylehouse Close was leased for four years by Prior John Barwick to William Freeman of Goverton. For the sum of £5 he had the right to cut brushwood, dig clay and carry sand, wood and coal – all essentials for tile production. The name ‘Tilehouse’ had evidently been in use for some time before this contract of 1537 which also mentions a right of access to and from the Tilehouse Close by the ‘old accustomed way’. 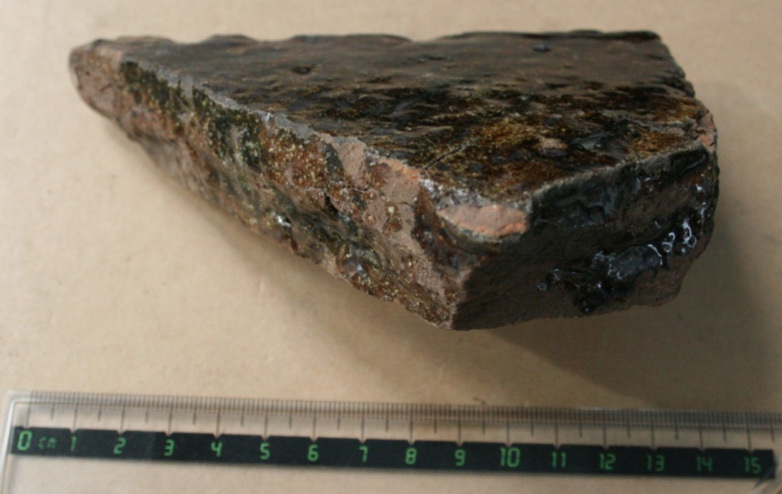 There is no reliable indication of the duration of industrial activity on this site but it was certainly active through the middle decades of the 16th century. 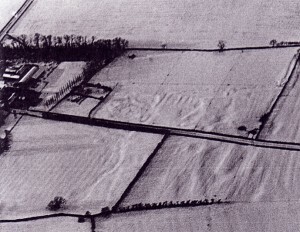 Aerial photographs of the site taken in the winter snows of 1963 show several irregular pits and humps covering an area of at least 2 acres. Some of the hollows may have been diggings for clay but others features may represent industrial buildings and kilns. 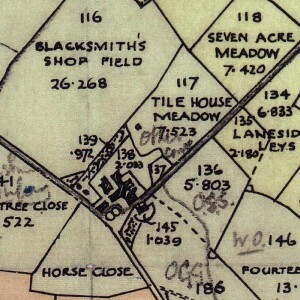 1963 aerial photograph of Tilehouse Close. 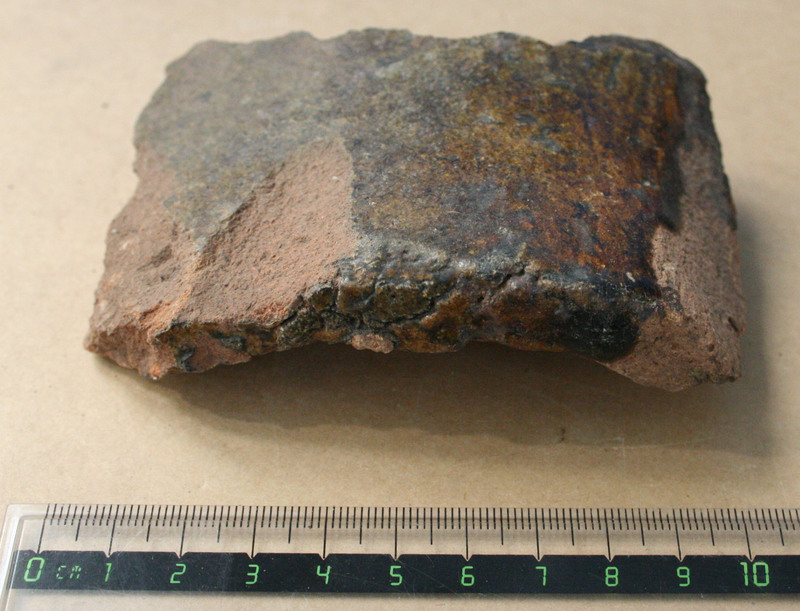 There has been no formal survey of this site but recent casual field walking after ploughing confirmed a series of shallow pits and humps with numerous fragments of charcoal, furnace slag and tile. 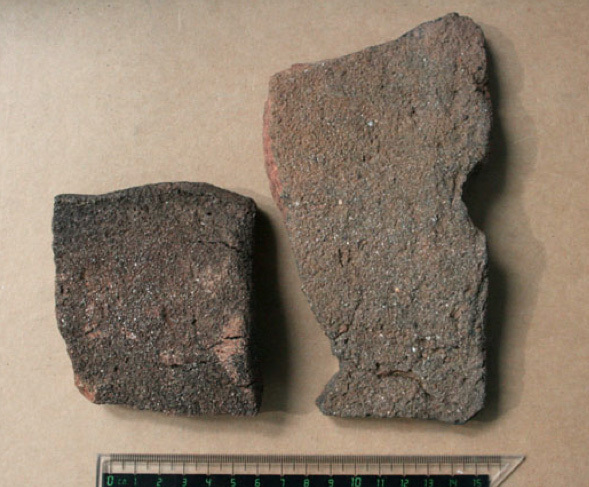 The tile fragments found were unglazed and appear to be of a functional type of roof and flooring tile with no evidence of decoration. 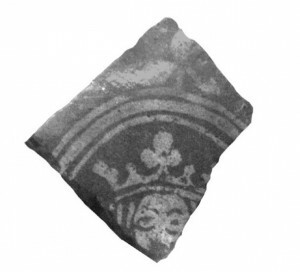 An earlier phase of tile making was discovered on Castle Hill just 300 m south of the Priory. Excavations on this site in the 1950-60s revealed a late Anglo-Saxon and an early Norman church with surrounding burials . The archaeologists also discovered a concentration of glazed tiles and slag. 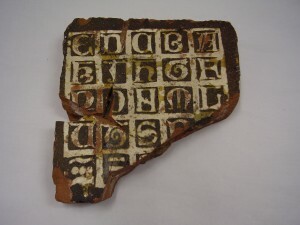 Several fragments of tile had glaze on their broken surfaces, such ‘wasters’ usually resulted from damage or misfiring in the kiln. The change from a religious to an industrial use of Castle Hill probably occurred by the 13th century and tile making may have been part of the major building phase of the Priory. 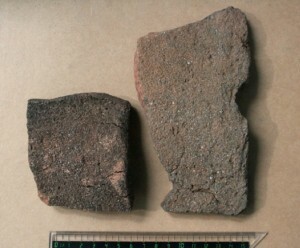 The tiles had a deep brown – greenish glaze possibly from the addition of lead and other minerals and were a mixture of curved and flat forms suggesting use for both roofing and flooring. 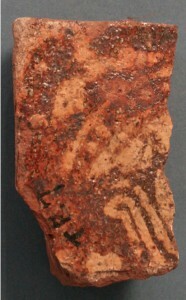 Encaustic decorated tiles from Thurgarton Priory. 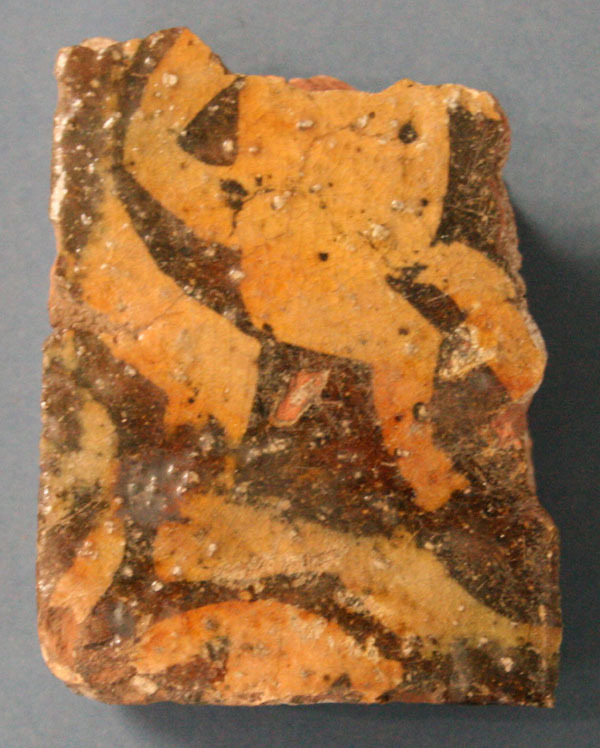 A few decorated ‘ encaustic’ tiles have been found in and around the Priory site and are typical of high class flooring found in major mediaeval buildings. They were probably made by travelling craftsmen and show distinctive regional patterns. A vast range of designs were created and anyone interested can view over 2000 such mediaeval tiles at http://tileweb.ashmolean.museum/. Only a few tiles from Thurgarton Priory have survived and are shown below. 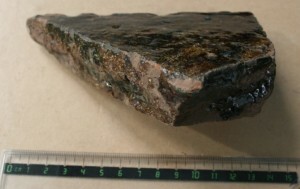 Some are too small to identify – this may be another crowned figure. and is probably a fragment of a tile depicting Mary and the infant Jesus. Department of Archaeology, Nottingham University. English Heritage , NMR Swindon, SK6849/5 – aerial photograph.